Ryan Bertrand, born on 5 August 1989, is a English footballer who plays for Chelsea FC at left back position. He started his career at Gillingham and was signed by Chelsea in July 2005. He made his debut because he was lucky enough as he was to replace and act as a substitute of Jamie O’Hara in a friendly match against Czech Republic at Bramall Lane on 18the November, 2008. 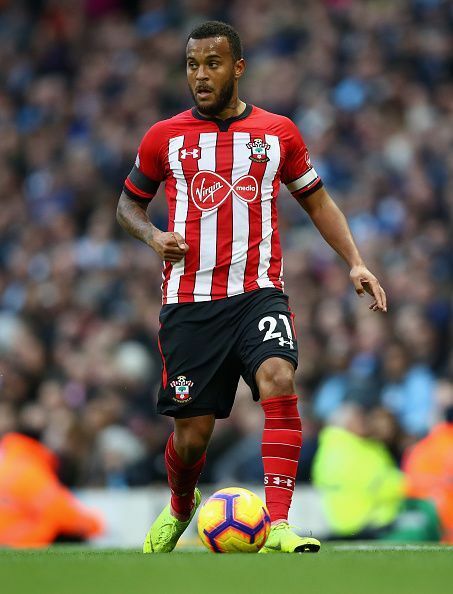 Due to injuries, his career suffered, majorly due to knee injury in 2015, which made him miss ten matches for Southampton FC and hamstring injury in 2017 due to which he missed five matches for Southampton FC. He has participated in International Cup Competitions like Champions League(2011) for Chelsea FC, UEFA Supercup 2012( Chelsea FC) , Champions League 2012,13 for Chelsea FC, Europa League 2012 for Chelsea FC and in 2016 for Southampton FC. He has played in national cup Competitions like EFL Cup 2007( Oldham Athletic), 2009 for Reading FC, 2011-12 for Chelsea FC and in 2015,2016 & 2017 for Southampton FC. In FA Cup 2007-08 for Norwich City, 2010,11,& 12 for Chelsea FC and in 2016,2017 for Southampton FC. He has participated in National Leagues like League one 2006 for AFC Bournemouth, 2007 for Oldham Athletic, Championship 2007,08 for Norwich City, Reserve League, 2010 & 2011 for Chelsea FC, Premier League 2014-2017 for Southampton FC. Was Chelsea's decision to let Ryan Bertrand leave the club a mistake? Player Focus: Which left-backs deserve a spot in Hodgson's next England squad?